Pull every transcript related to your client in minutes, complete with hundreds of calculations. Plus, it’s free. Onboard clients with an easy-to-use portal where they’ll have access to everything relevant to their case including checklists, deadlines, and files. 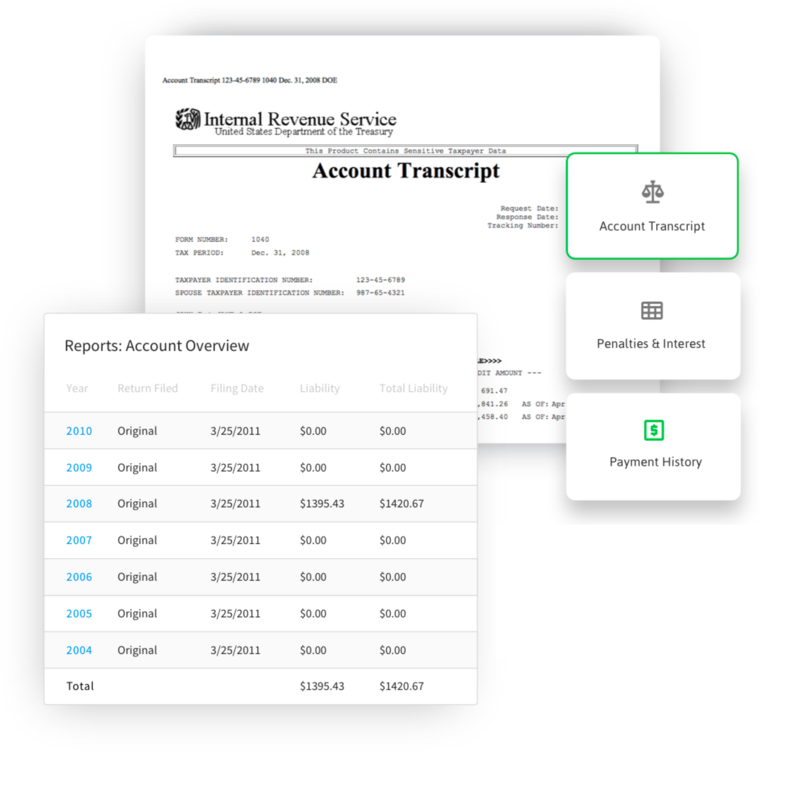 Access 40-hours worth of transcript calculations including interest, penalties, and CSED calculations, organized by year and personalized to your client. View transcripts by year, type, and section, so you can easily navigate through years of forms. What transcripts will Canopy pull? Canopy pulls every transcript authorized on the Form 2848 and 8821. I can already request transcripts through e-Services for free. What is different about using Canopy’s solution? Canopy streamlines the process by pulling every transcript you have access to in minutes. Additionally, Canopy’s analytics and navigation makes it easy understand your client’s situation and make faster decisions.